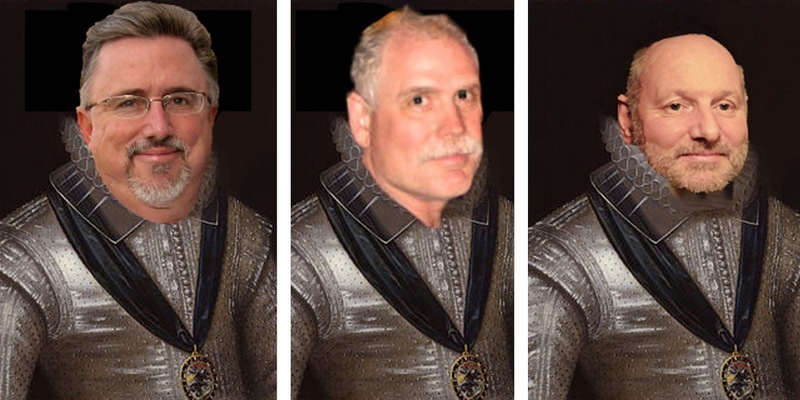 Knights of Creativity Spirit & Ale: Past, Present and Future. Having kept my life interesting by often changing horses in my careers and getting involved with new projects, its always fascinating to see the new paths I take criss-cross old paths and have them bump into new ones. Running my own Graphics company this last ten years, means that when the phone rings I never know what long passed facet of my life is going to walk back into my present life. 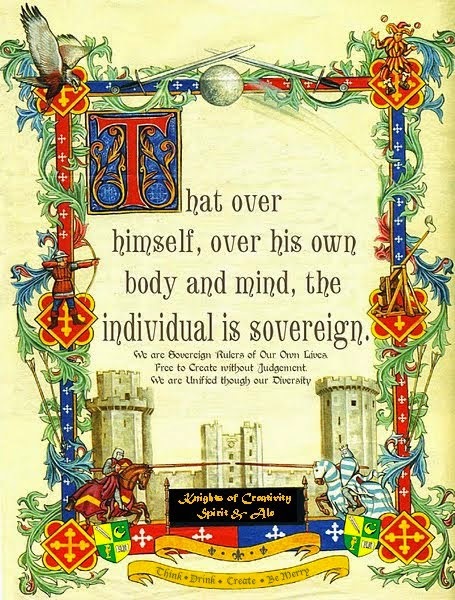 On leaving college, and already living and working in Oxford's rich scientific biochemical background, I found myself as a research assistant to two very famous real life Knights ; Sir Hans Krebs, and Sir Richard Doll ( both who now have extensive Wikipedia pages ) I worked in that arena till late 1983. 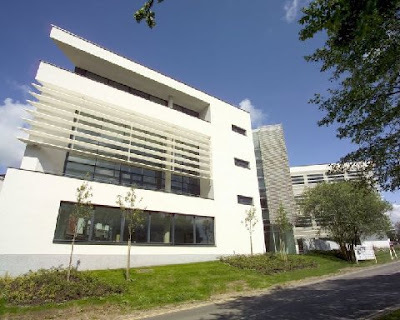 Fast Forward to 2008 and I get a call from the facilities manager at the Richard Doll Building, a clinical research establishment built to further his work into carcigenics and opened just before his death in 2005. Typical in scientific circles they had taken all that time to sort out the exterior signage, which I duly designed and completed for them. Then this week I get a call asking for some interior signage, in particular a new large interior cafe that had just opened for the workforce inside. This is where the Indiana knights and ladies will perk up. A few years before his death Sir Richard planted himself a large Tulip Tree, of which he was rightly proud. 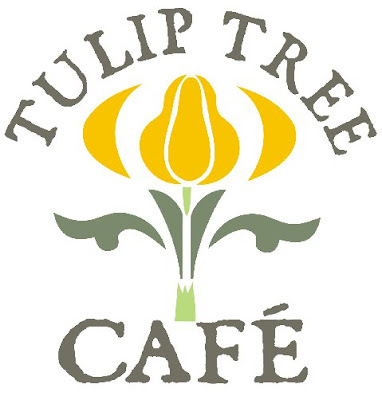 I was called into design a logo for the cafe which was to be called Tulip Tree Cafe. Yes I know, you can tell which way this is going, but hold still. So I go back home and research Tulip Trees, in hope of finding some sort of iconic feature about them I could use as a motif. And what do I find?? 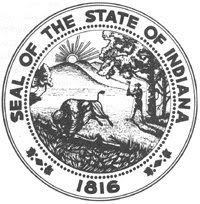 ... that it is indeed the the State Tree of the nineteenth State of America...our new old favourite place: Indiana. So there you have it....old paths bump into new paths and the Celtic knot of life goes on. I duly find the leaves of the tree in the border of the State Seal of Indiana........... with what appears to be a drawing of someone who looks like Sir Bowie on his Birthday chopping down a tree, while scaring the buffalo..from there I created a motif for the cafe highlighting the creamy yellow magnolia flowers. Who'd have thought that way back in my callow, hirsute youth I would have travelled such a circle, experiencing all I have inbetween, but as my father is so fond of saying; "The greatest gift that 'God' ever gave to humankind, is the inability to foretell the future"
The years keep rolling by. It's like a children's game. Whilst I did a little search to confirm the "poplar" spelling, my first hit was from: "Dave's Garden." And with that the world grows a little smaller. Yes James the ol' Interweb does draw the paths of life surprisingly close... I noticed the link between Abe Lincoln and Tulip Trees is that the first Log Cabin he built for himself, was fashioned out of Tulip Trees. maybe I'm finally grown up at 50?? A very interesting story and a very beautiful tree!